MILAN — Created in 1927, the Federación Nacional de Cafeteros de Colombia (FNC) is a forerunner of all organisations that support quality and the work of coffee growers and rural communities, disseminating sustainable agriculture practices and helping to introduce advanced farming techniques: with 540,000 families among its members, it is probably the world’s largest NGO. We asked Natalia Una Valencia, head of marketing and public relations, to give us a sense of the current state of production. The federation will be at HostMilano this October to present the production of Colombian coffee and promote its high quality. “Thanks to the renovation program developed by the Colombian Coffee Growers Federation, Colombia’s coffee production has become very stable during the last four years. Weather forecasts show an El Niño phenomenon at the beginning of 2019 but production levels should not vary much from the seasonal average of the last few years, considering the bean developing stage. Fertilization plans could be affected due to lower coffee prices at the end of 2018. A possible impact could be expected on the coffee productions levels for the Mitaca and main harvest.” (Colombia has two harvests a year – ed.). Any news regarding innovation, sustainability and quality certification for 2019? The Colombian coffee growers Federation (FNC) has always been a leader in terms of sustainability, innovation and certifications in coffee. We are working towards the 100/100 Plan: a programme that seeks to cover 100% of the coffee farms under a verification standard in 2027. Our main goal is to create more awareness among consumers and all the coffee industry about paying prices that will result in a living income for coffee producers around the world. This goal was established during the first World Coffee Producers Forum, held in Medellin in 2017, as an initiative of the FNC. What are the most interesting markets for your coffee and how is Italy positioned? The top three markets for Colombian coffee are Europe, North America and Asia. In Europe, Italy is one of the most important markets given the passion Italian consumers have for coffee. What do you expect from your participation at HostMilano next October? The specialty coffee segment has been growing in Europe and in Italy during the last few years. HostMilano is the perfect scenario to promote the amazing coffees Colombia has to offer. There are threats to – but also opportunities for – the world of coffee. How do you see its future? Back in 1938 we created Cenicafé, Colombia’s state of the art Coffee Research Centre. Cenicafé has been working for decades on climatically smart coffee growing, including Colombia’s top quality and highly productive rust-resistant varieties. We are aware climate change is here to stay. That is why Cenicafé is continuously developing new varieties to make Colombian coffee more resilient to weather phenomena. Currently, the biggest threat to the world of coffee is the low market prices of washed Arabica coffees (C contract). Washed Arabica coffee is regarded as top quality. To assure a supply of high quality coffees and good living conditions for coffee growers, prices must reflect the quality and the effort of farmers from all over the world. The spread of specialty coffees throughout the world has been and will continue to be a fantastic opportunity for Colombian coffee. With three mountain ranges, volcanic soils and the capacity to supply fresh coffee all year, Colombia is the land of diversity. 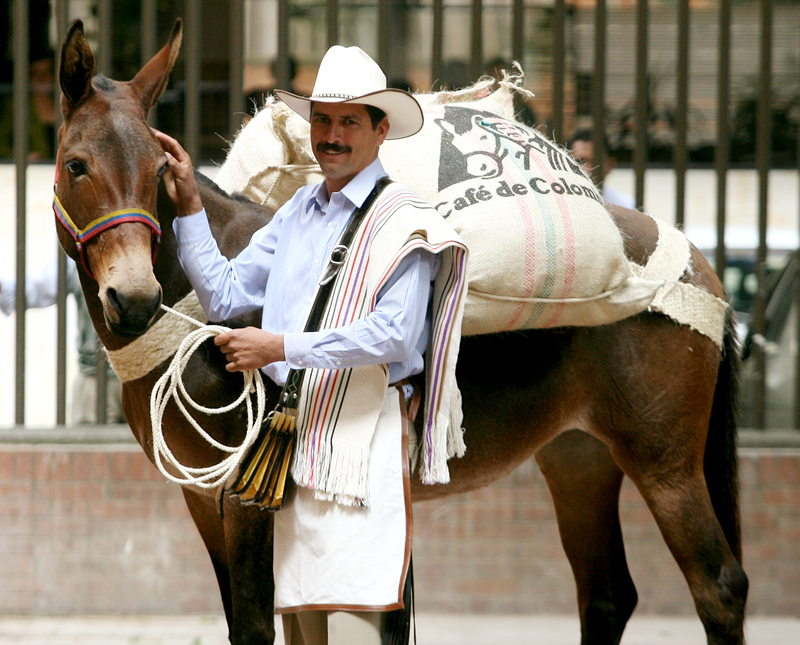 Colombia has a wide portfolio of specialty, standard and instant coffees to meet all needs. To learn more about Colombian coffee growers, Colombian coffee regions and cup profiles, visit our booth at HostMilano!